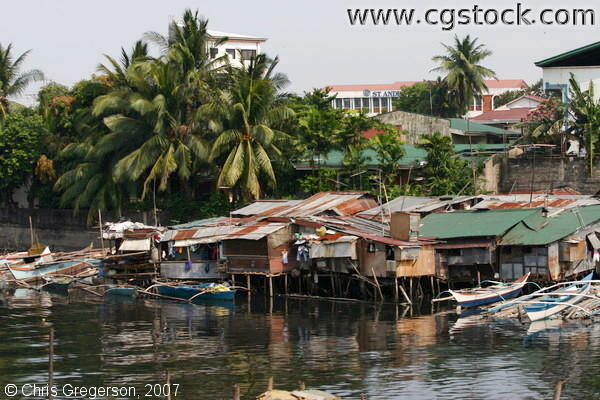 An inlet on Manila Bay. These houses can be seen by looking down below Coastal Road. In the background, St. Andrew's School can be seen.